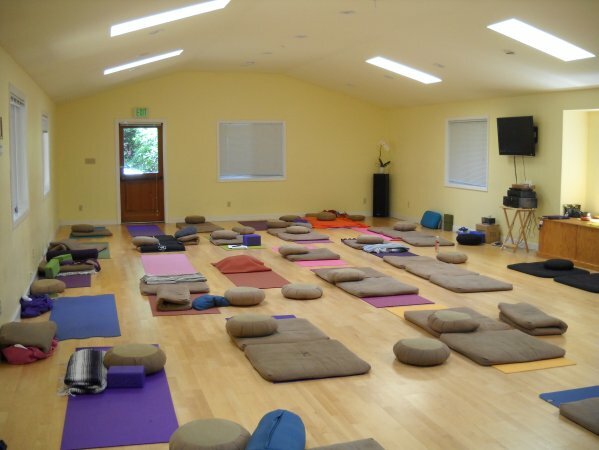 We provide everything needed for groups to hold successful yoga, bodywork, and meditation retreats as well as spiritual retreats of all denominations. We have spacious meeting halls, 19 guest rooms, and a retreat cabin complete with hot tub, as well as seasonal yurts and camping. 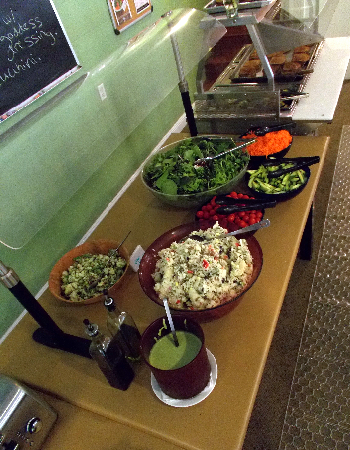 Our dining room serves wholesome and delicious vegetarian meals. We offer a team of massage-therapists, a relaxing sauna, and a full length pool (seasonal). Our charming reception office & gift store offers welcomes and helps guests throughout their stay. 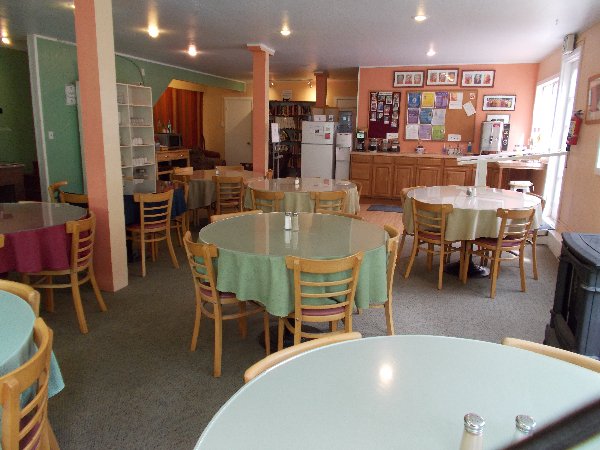 We happily host multiple small groups, and/or large groups can rent the entire center. Booking out the entire center gives your guests more exclusive use of the center with a wider variety of choices for room accommodations, meal types and meal times. 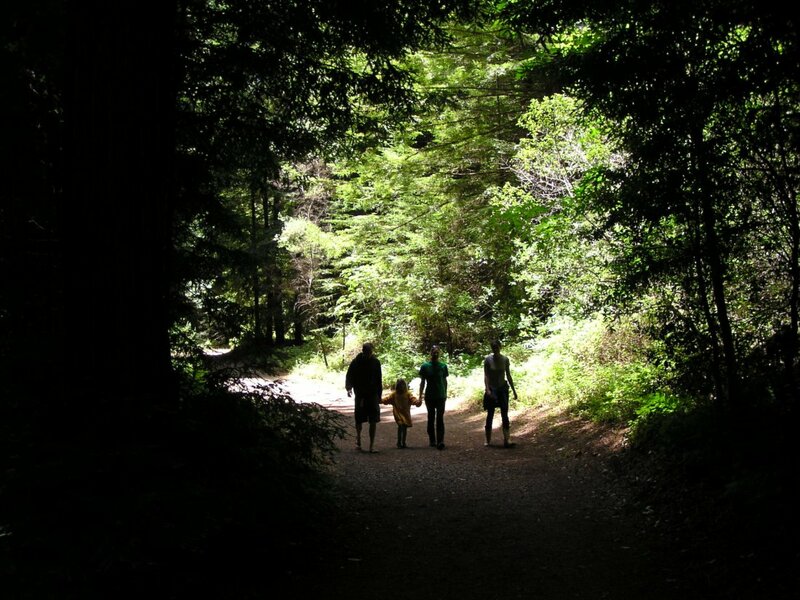 We specialize in holding space for a group wishing to do a partial or completely silent retreat. Many of our groups are repeat customers and booking occurs on a first come first served basis, so please contact us quickly to ensure you get the dates you want. When given advance notice, we are able to accommodate most requests. Unfortunately, due to local fire restrictions, we can not accommodate any requests for open flames, fire pits, or barbeques. 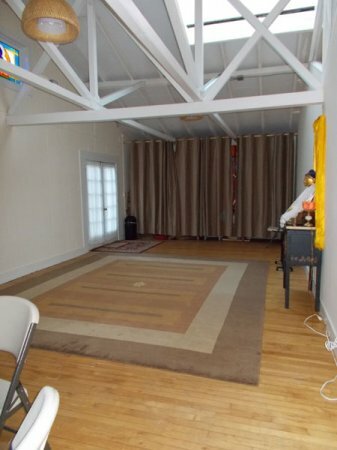 Pine Room shown with mats. Gom Chung - little meditation hall.